Based on years of groundbreaking research, The How of Happiness: A New Approach to Getting the Life You Want is a comprehensive guide to understanding the fundamentals of happiness. It is data based, thorough, and practical — the best of the bunch on happiness. I truly love this book because it was my introduction to the science of happiness and the beginning of my career helping others apply the science to work. When I read the book I thought it was amazing: real, solid science on how to be happier, which results in numerous benefits including resilience, productivity, and health. I wanted to remember it, act on it, become happier, and enjoy all the benefits that come with happiness. It occured to me that the best way to learn something was to teach it, so I started teaching workshops based on this book and others. 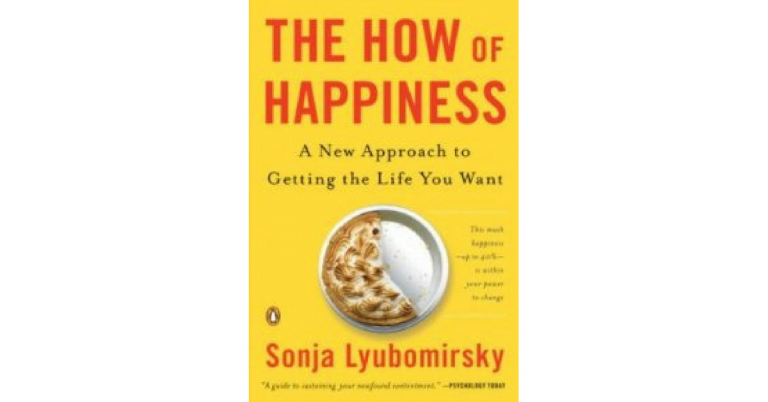 In the final part of the book, Sonja shares five secrets to sustainable happiness, and closes with a postscript on depression and its implications for happiness. 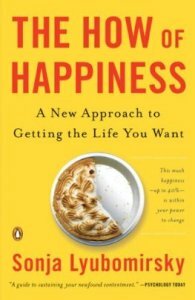 Reading The How of Happiness: A New Approach to Getting the Life You Want is like taking a graduate-level Positive Psychology course; when you’ve finished reading you feel like an expert and are able to share with others the how of being happy. It is highly recommended for anyone interested in positive psychology, whether academically, professionally or personally.